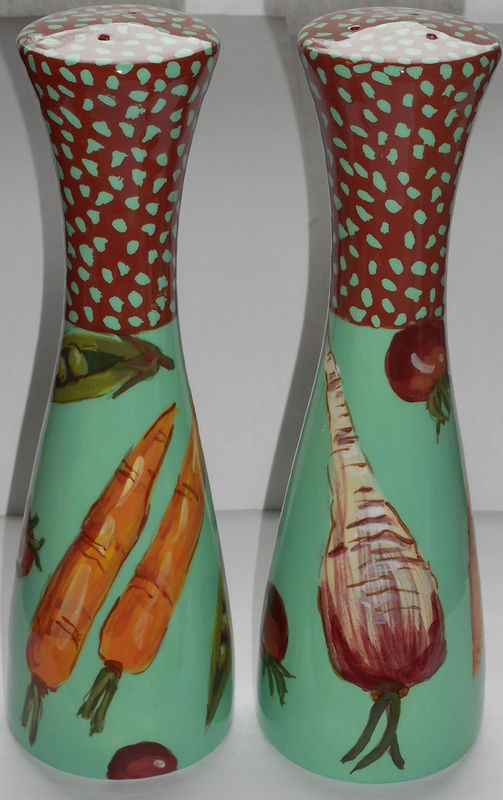 Two 1 1/2" wide x 8 3/4" tall shakers. Will look beautiful on your table to compliment it's matching pieces. Click on photo to enlarge for details.